The crab is 7 inches wide with a weighted beanie bottom. *Under no circumstances do we advise you to put this toy in your mouth – he has pinchers! Crab is part of the zany and crazy Weebl's Stuff family - follow their adventures online at our YouTube Channel. 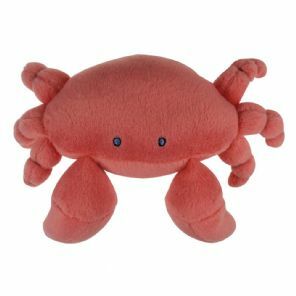 Buy 4 crabs and get them for £10!